The Hochiki Wireless Conventional Interface Module (RSM-CIM) is a device that interfaces wireless field devices on to a Conventional Fire Control Panel (FCP) via the radial Zone circuit (for Detectors, Manual Call Points and Input Modules) and one of the radial Sounder circuits (for all Audio-Visual devices). The RSM-CIM is powered from an external 24 V dc supply. Full monitoring and control of the wireless field devices is possible. 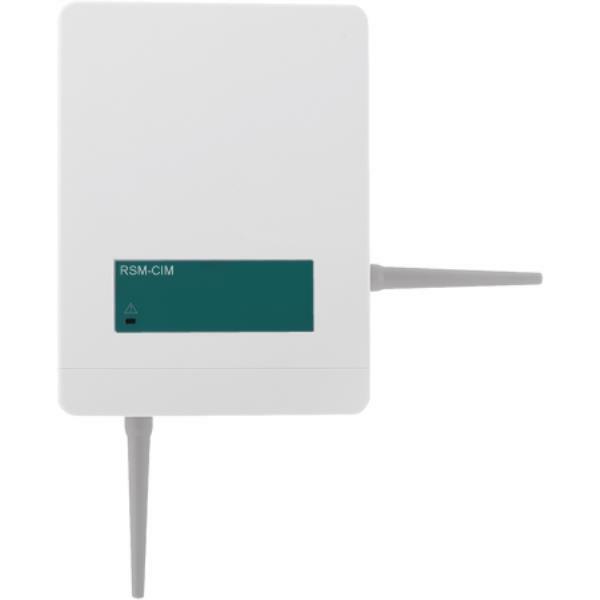 Communication between the RSM-CIM, additional Expander Modules (RSM-EXP) (if fitted) and field devices is wireless via a bi-directional, analogue-intelligent protocol. Flexible on site device adjustment. IP68 protection for exterior mounting. Makes additions to existing wired systems easy and cost effective. Requires external power supply for use as stand-alone zone.